You’re chomping on ice, or perhaps a piece of hard candy when you notice something hard in your mouth that doesn’t melt or dissolve. You get a bad feeling as you come to the realization that this mystery object, is in fact, a piece of broken tooth. Although the enamel that covers your teeth is the hardest, most mineralized tissue in the body, its strength has limits. Falling, receiving a blow to the face, or biting down on something hard, particularly if a tooth already has some decay, can cause that tooth to chip or break. If you discover you have broken or chipped a tooth, don’t panic. There are many ways your dentist can repair it. Why do people get cracked or broken teeth? The enamel that covers your teeth is the strongest tissue in your body, but it can still be broken or cracked. Teeth can be damaged in many ways. Maybe you were doing something you shouldn’t have, like playing football without a mouth guard or chewing on a pencil. Or maybe you suffered a traumatic fall, crash, or blow. According to the American Dental Association, the top nine foods that damage your teeth are hard candies, ice, citrus, coffee, dried fruit, potato chips, soda, alcohol, and sports drinks. Tooth decay or cavities can also weaken your teeth, causing them to be more likely to break when you are chewing hard food. How do I care for a chipped or broken tooth? It might take a day or two before you’re able to see your dentist and explore a restoration. In the meantime, you can care for your chipped tooth by taking an over-the-counter pain medication to keep the pain and swelling to a minimum. Rinsing your mouth can also be helpful to remove food particles that often stick in the jagged ends of a cracked tooth — just be sure to avoid cold temperatures that set off sensitivity. If the break has caused a sharp or jagged edge, try to cover it with a piece of wax paraffin or sugarless chewing gum to keep it from cutting your tongue or the inside of your lip or cheek. Make sure to eat soft foods and avoid biting down on the broken tooth. Trying a mouthwash is a good idea to keep things clean, especially if brushing the chipped tooth causes more discomfort. Does pain continue as you wait for your appointment? Apply an ice pack indirectly. This can help reduce swelling and some of the pain that comes with a chipped tooth without aggravating the nerves. 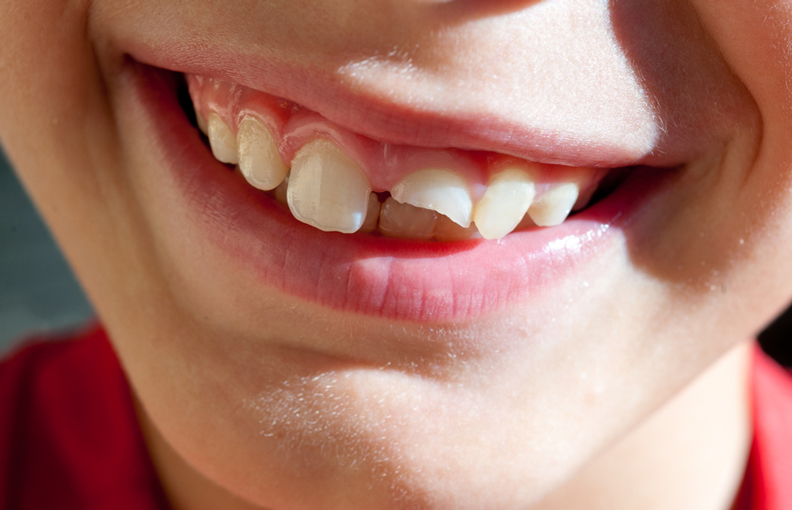 Treatment for a broken or chipped tooth will depend on how severely it is damaged. If only a small piece of enamel broke off, the repair can usually be done simply in one office visit. A badly damaged or broken tooth may require a more lengthy and costly procedure. Here are some ways your dentist may repair your broken or chipped tooth. For small and uncomplicated chips, your dentist will probably suggest bonding. This is a simple procedure where a composite material is molded over the healthy area of the tooth to correct the chip. Your dentist will first roughen up the remaining enamel and shape the composite to create a natural-looking extension. He or she then sets the composite using a blue light that instantly hardens the material. When well maintained, bonding can last up to 10 years and is ideal for small, cosmetic chips. As we talked about in one of our recent blogs, if your cracked tooth poses a more severe cosmetic issue, you might opt for veneers. These restorations are essentially porcelain covers on the front of your teeth and produce a smooth, natural look when fully applied. You can have one veneer installed or several, but they can be expensive. Nonetheless, veneers last 10 to 20 years, so they may be the right solution if you’ve cracked a bonding several times or you’re hoping to repair color and shape simultaneously. Crowns, like veneers, are also porcelain covers for the teeth. The difference between crowns and veneers is that a crown shields the entire tooth, whereas a veneer only covers the forward-facing part of the tooth. Crowns are more appropriate when a cracked tooth causes the loss of a large portion of the original tooth. They can correct the tooth shape and repair your smile quickly, while preventing further damage such as tooth decay and exposed nerves. If a tooth chip or break is large enough to expose the pulp, the center of the tooth containing nerves and blood vessels, bacteria from the mouth can enter and infect the pulp. If your tooth hurts, changes color, or is sensitive to heat, the pulp is probably damaged or diseased. Pulp tissue can die and if it’s not removed, the tooth can become infected and need to be extracted. Root canal therapy involves removing the dead pulp, cleaning the root canal, and then sealing it. In most cases, the remaining tooth must be covered with a crown to protect the now-weakened tooth. If your tooth has cracked just before the surface of the gum line, you should have the tooth removed and replaced with a dental implant. By removing the tooth and allowing the space to heal, your dentist can then add a metal post in the gum line prior to installing an implant that looks and feels like a real tooth. This helps you avoid infection and a future root canal. Just remember it may take the longest, as your mouth will need proper time to heal between the extraction and the implant. A chipped tooth is a fairly common dental issue, but that doesn’t mean your fix should be run-of-the-mill. Take care of the problem quickly by making an appointment and discussing options with your dentist. With the right care and restoration, you’ll be back to a healthy, chip-free smile in no time. Do you have any questions about a broken or chipped tooth? Call Westermeier Martin Dental care to schedule an appointment with your dentist 716-508-4547.